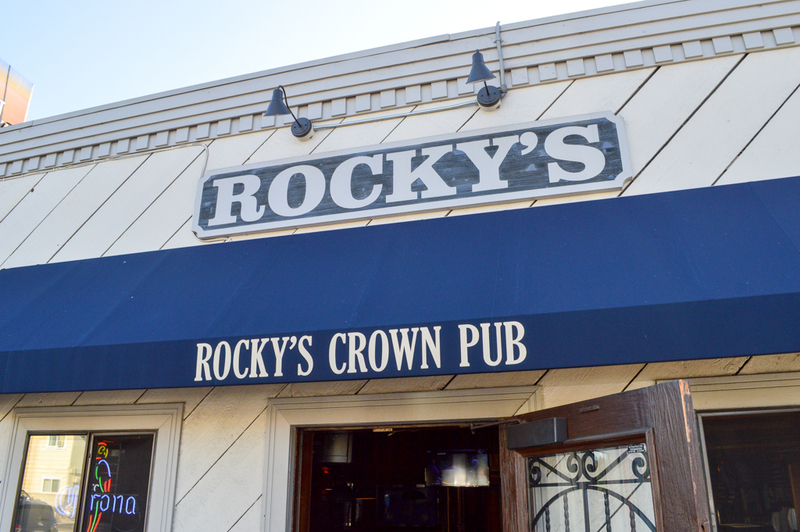 Rocky’s Crown Pub is located in the Pacific Beach community of Crown Point, one of the most beautiful communities in San Diego. 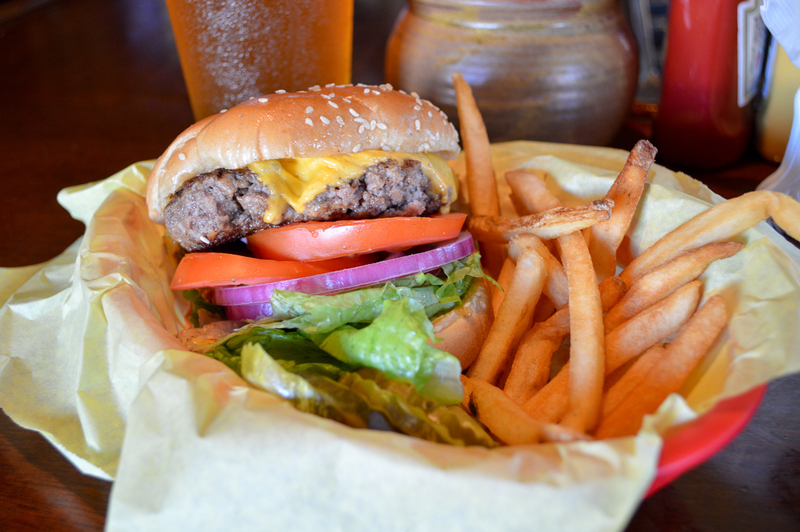 The restaurant itself sits on the corner of Ingraham & La Playa Ave. and has been a staple in San Diego for years. Now Rocky’s, like In-N-Out, does it right! 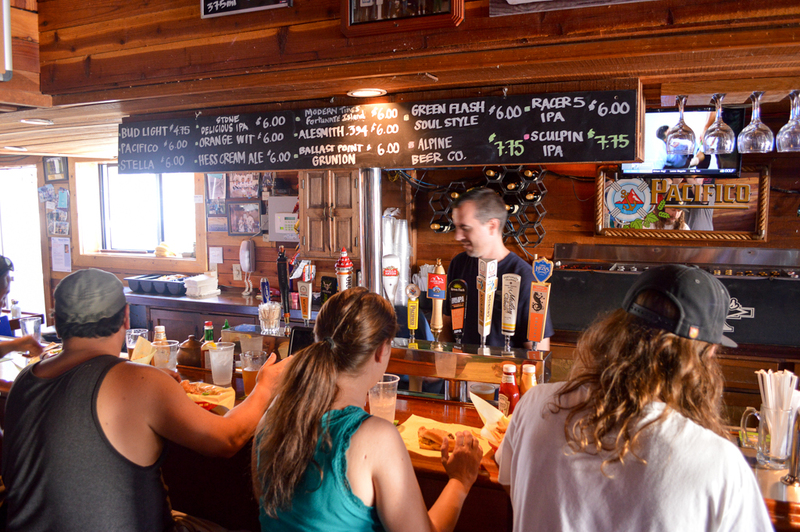 They offer a short, simple menu with a product they have mastered. 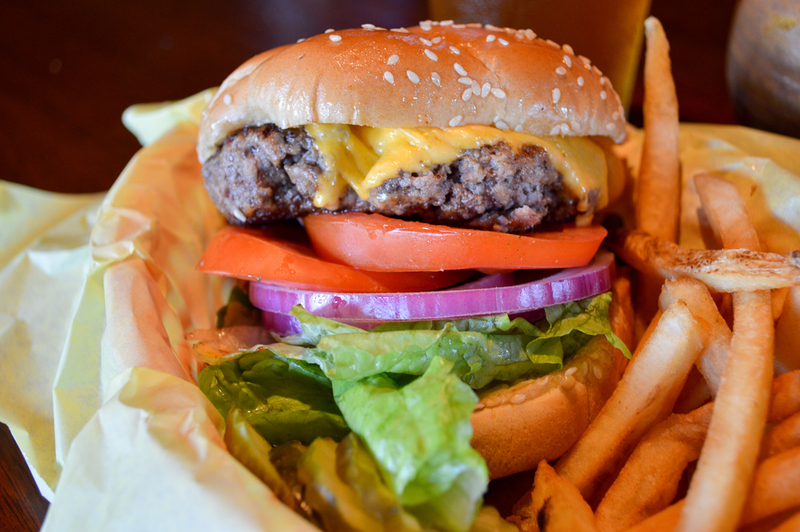 The menu consists of French fries and two sizes of burgers: half pound or third pound burgers served with or without cheese. That’s it. 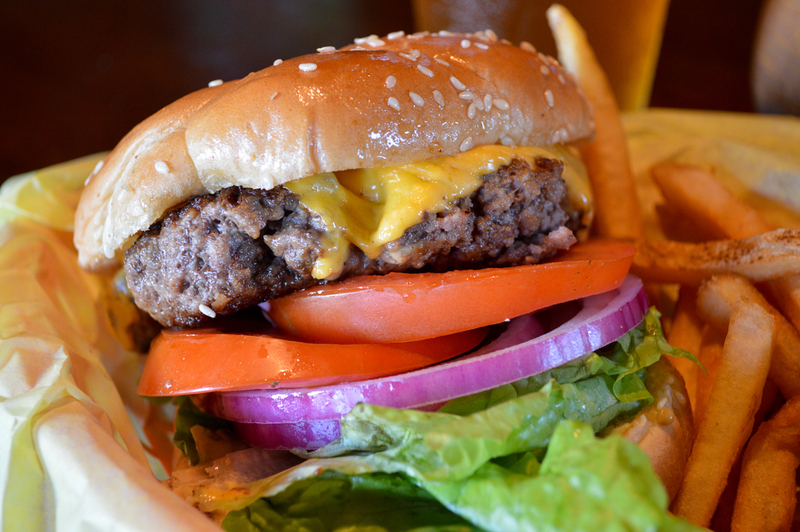 Rocky’s takes pride in building you a fresh and juicy burger, every time! Nothing fancy, just delicious. 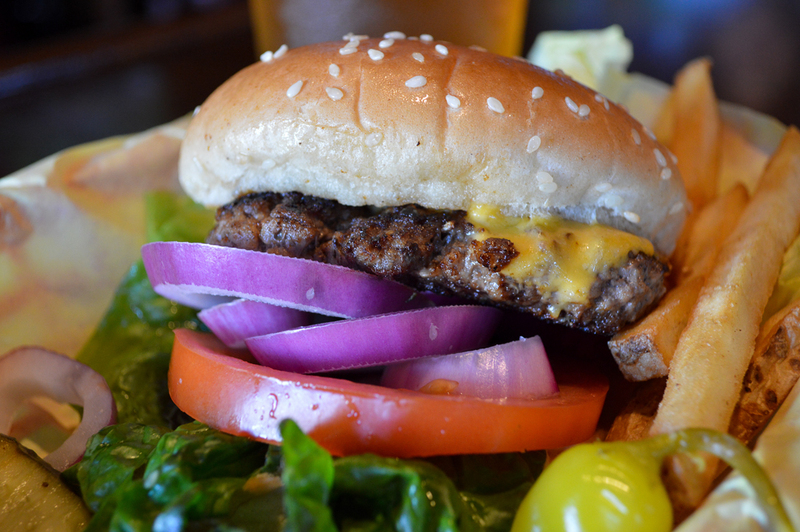 The burgers are shaped, weighed and made fresh daily, then flat-grilled on a sesame-seed bun. Mayo, tomato, red leaf lettuce, red onion and pickles are served on the side. My recommendation is to order a third-pounder with fries or, for a grown man, a half-pounder without. 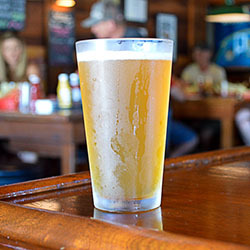 Wash it down with one of their large selection of craft beer, such as my favorites, Blue Moon and Racer 5. 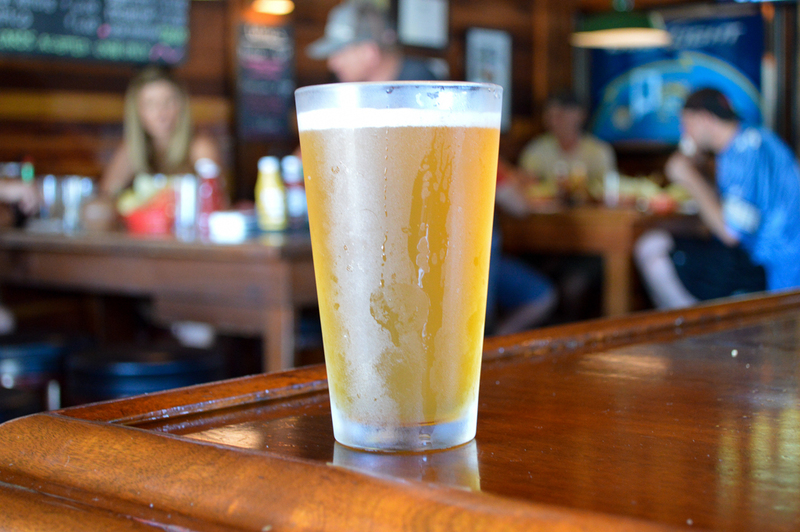 You’ll feel like you’re on vacation. And maybe you are! 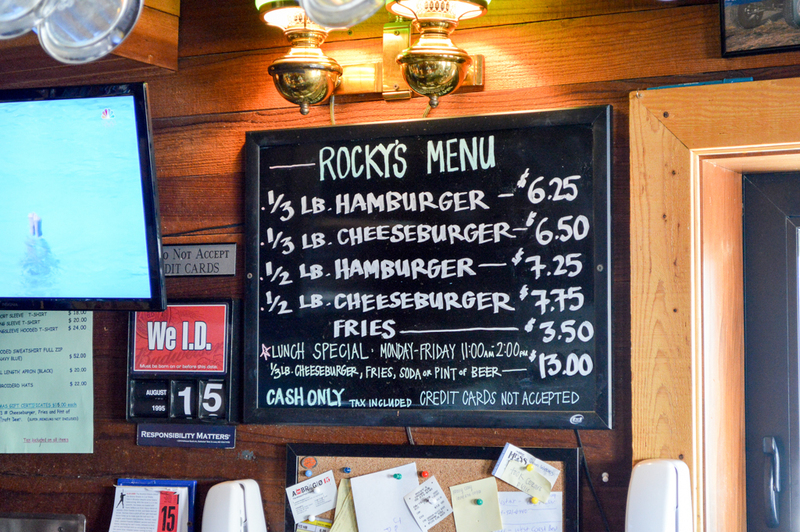 Many, including myself, consider Rocky’s hamburgers to be the best in town. 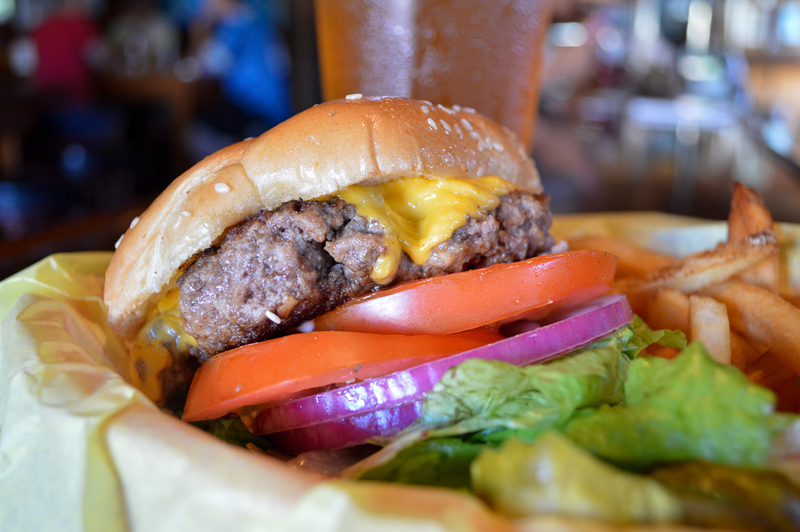 Being from Texas originally, I love BBQ and burgers, and I don’t believe you’ll find a better burger in San Diego! 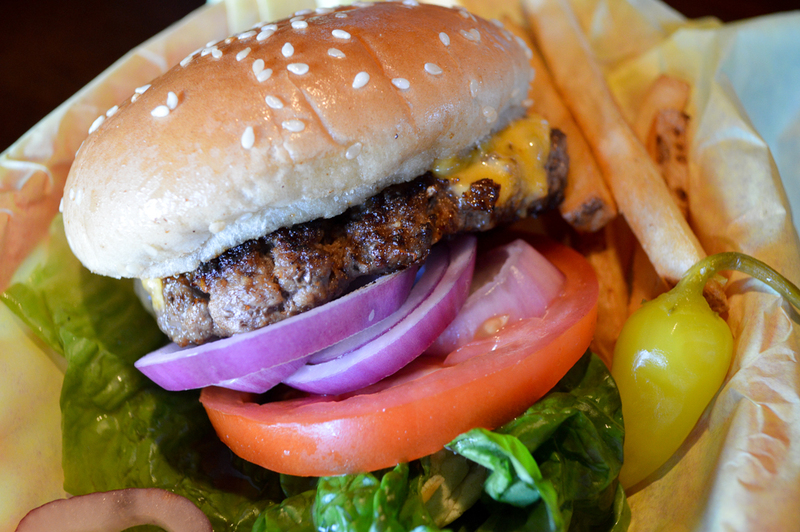 Now, before you start getting too upset, there are other burgers equally as good, in different ways. 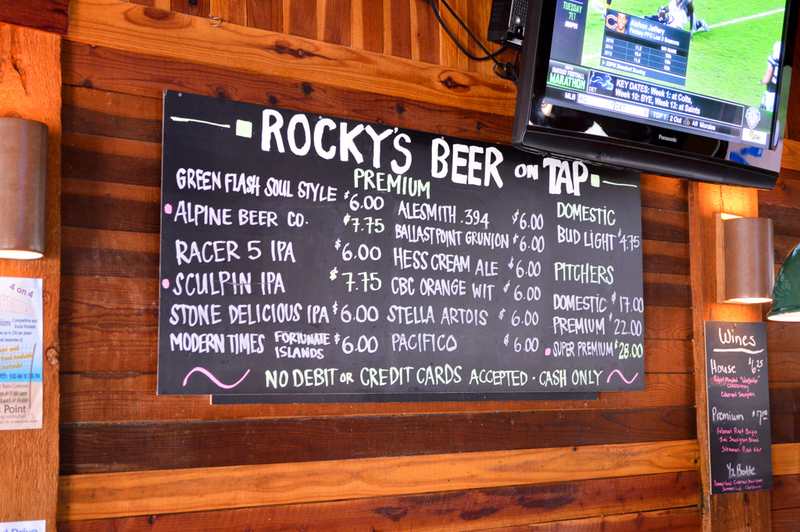 Let’s just say you should try Rocky’s burgers out for yourself and you’ll see what I mean.